The World Series of Poker may run annually in the United States' gambling capital, Las Vegas, but that doesn’t stop worldwide residents from traveling to participate in the biggest tournament of the year. In 2012, 101 different countries participated in the WSOP, and this year 107 different countries flew in for the chance at turning their dream of winning a coveted WSOP gold bracelet a reality. It’s no surprise that the U.S. led in the WSOP World Ranking Standings. All together Americans accumulated 40 bracelets and made 6,035 cashes for a total of $109,966,358 in WSOP earnings. Of the other 106 countries who participated in the summer series, do you know who ranked No. 2? That would Canadians, who dominated the rest of the world with ten earned bracelets, 561 cashes and $10,579,113 in earnings—that number jumps to 11 if you include Daniel Negreanu’s victory in the WSOP Asia-Pacific Main Event. Coming in third were the Brits, who only scored three WSOP bracelets, less than half in cashes with 277 and nearly $2 million less in earnings with $8,592,506. Charles Sylvestre of Quebec was the first Canadian to set the pace for the rest of the summer. At the time, Sylvestre was just another player who ran well, but little did he know, he would inspire a domino effect. Prior to this summer, Sylvestre had only cashed in two WSOP events both back in 2010. He first scored 23rd in a $1,500 Pot-Limit Omaha event followed by 465th in the Main Event. Fast-forward two-years and Sylvestre would receive $491,360 for his win along with his first gold bracelet. The Canadians gained media attention a third of the way into the series. Through 21 events, there were 1,231 Canadian entries in bracelet events, comprising 5.3 percent of the total number of entries, and six Canadian bracelet winners including Sylvestre. ESPN’s Andrew Feldman speculated the continued presence of online poker might have had something to do with their success, while others just speculated it was good performances from good players. Either way, Canadians definitely made their presence know. Benny Chen was the next in line to earn a bracelet when defeated 6,343 entrants for a near $1.2 million payday in Event #6: $1,500 "Millionaire Maker" No-Limit Hold'em. Then it was time for Michael Malm, Levi Berger and Mark Radoja to score a win for the "Great White North." 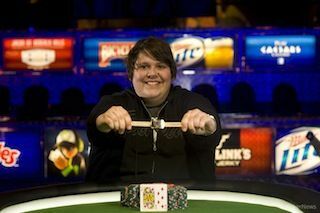 Not long after, Calen “Big Wheel” McNeil won the $1,500 Omaha Hi-Lo event. The event went into an unscheduled fourth day of play after a long stretch of final table action on Day 3, then continued for two and a half more hours thereafter. The heads-up battle between McNeil and Can Kim Hua was a difficult one, but McNeil booked the win earning the sixth gold bracelet for America’s northern neighbors. Jason Duval followed suit not long after. The 23-year old student from Quebec was the victor in a $1,500 No-Limit Hold’em event, winning the bracelet and $521,202. It was the first for Duval and seventh for Canada, setting a record for the country for the most bracelets won in a single summer. Duval came close to pulling a second-bracelet win after he made the final table in the $1,000 No-Limit Hold’em Turbo tournament, but he was ultimately eliminated in sixth place. The Canadian wins just kept on coming as Ontario’s own Justin Oliver outlasted American Nick Shwarmann to win the $2,500 No-Limit Hold’em Four-Handed event. Oliver was short stacked during most of the late stages of play but made a triumphant comeback to book his first-ever gold bracelet for $309,071 in earnings. Daniel Idema broke the $1-million mark in career earnings after winning the $1,500 Seven-Card Stud Hi-Low Split-8 or Better tournament. Idema bagged $184,590 along with his second-gold bracelet of his career. His first was back in 2011 after he won the $10,000 Limit Hold’em Championship. He defeated players like Matthew Gallin, Barry Greenstein, Justin Smith and Isaac Haxton for his first-ever WSOP victory and $378,642 in cash prize. During the 2013 series, he scored an additional four cashes including making a final table in Event #18: $1,000 No-Limit Hold’em. He fell short of a bracelet but did take seventh place for over $40,000. Kristen Bicknell sealed things off scoring a tenth bracelet win for Canada after taking down the Ladies Championship event. In what was her first-ever WSOP cash and first final table appearance, Bicknell defeated Leslie Haas, who was looking to win another bracelet for the country of Australia. Bicknell collected $173,922 for first bracelet, while Haas earned a considerable $107,616 for her runner-up finish. Bicknell’s win extended the record number of bracelets won by a non-American country to ten. 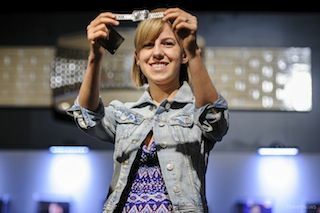 Although there were ten Canadian bracelet winners, there were nearly two-dozen that come close by making a final table. The most impressive were Greg "FBT" Mueller and Mike Leah. Mueller put his best skills towards crushing the mixed-game events making three final tables including third in the $2,500 Eight-Game Mix, which he finished runner up in the exact event last year, third in the $5,000 H.O.R.S.E. and eighth in the $5,000 Limit Hold’em. Mueller’s three final tables, which saw him collect $243,994, may have been his only cashes of the summer, but they made him the only Canadian to have three-final table appearances in 2013. Leah was right behind him though, making two final tables. Leah had quite a successful summer with three in-the-money finishes including third in the $5,000 Seven-Card Stud Hi-Low Split-8 or Better, and fifth in the $1,500 buy-in of the same game. His total summer success earned him $156,819 in tournament winnings. Here’s a look at other Canadians who made a final table appearance.
" 3rd Event #29: $5,000 H.O.R.S.E. Mark Klecan 8th Event #15: $1,500 H.O.R.S.E. 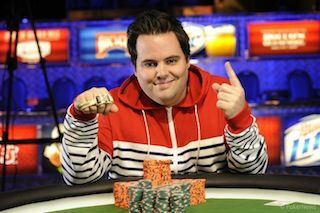 With still one tournament left in play, the 2013 WSOP Main Event, Canada still has an opportunity to add an eleventh bracelet to their list of accomplishments. There will be five Canadians making their way to Day 6, while two will be sitting in the top-ten chip counts. Follow the Day 6 action from the 2013 WSOP Main Event in our Live Blog beginning at 12:00 PDT. 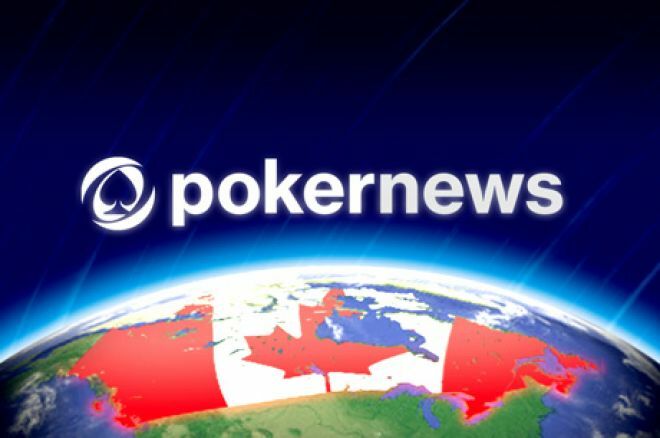 Canadians:: Get local Poker News and online deals at our new Canadian site: Canada PokerNews.